When I worked in Oakland, I got some images of the building on Broadway and Telegraph that slots into the narrow wedge shaped plot of land. In my post on that building which you can read here, I talked about the Flatiron Building in New York. Finally, on a work visit, I got to see the original (assuming it was built first). It happened to be right next to the place I was meeting a colleague for dinner. Couldn’t resist taking the camera along for that. 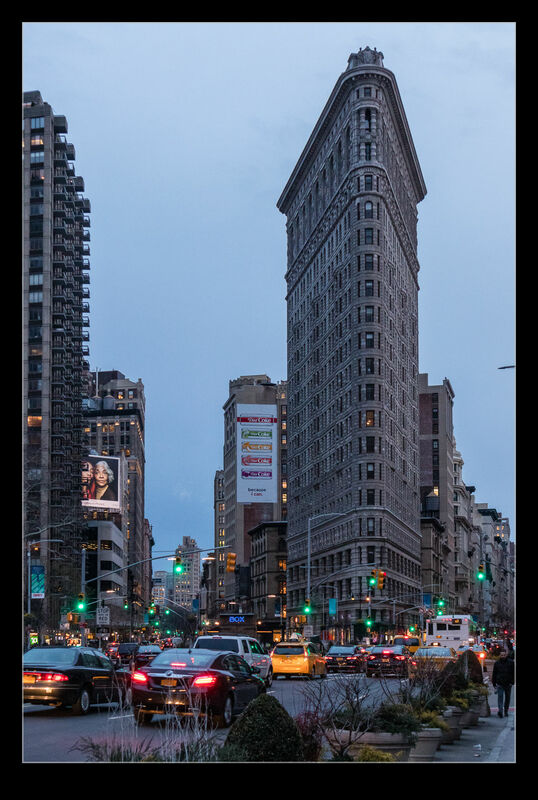 This entry was posted in photo, Travel and tagged architecture, building, Flatiron, Manhattan, New York City, photo, unusual. Bookmark the permalink.